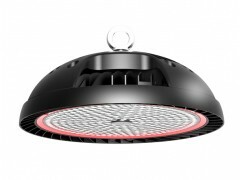 The high performance UFO LED high bay light from Jinghong Lighting is designed to deliver high lumen output with precise optical control and maximum energy efficiency for commercial and industrial workspaces, including manufacturing and processing facilities, warehouses, cold storage facilities, retail outlets, sports arenas, distribution centers, exhibition halls, logistics centers, and other similar environments requiring extraordinary performance and durability. 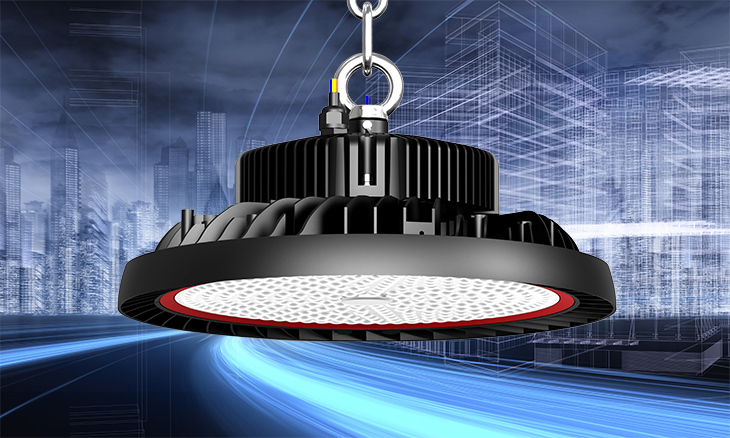 The high bay lighting fixtures use the highest quality components in the industry, pairing Osram Duris S5 3030 LEDs with the engineering depth of Mean Well or Moso constant current power supplies to deliver the most robust light engine in the industry. The fixture provides crisp white light with superior glare-free illumination. Every component of the LED high bay has been carefully engineered and precision assemlied in streamlined housing with contemporary styling to provide reliable performance and virtually maintenance-free high ceiling lighting applications. 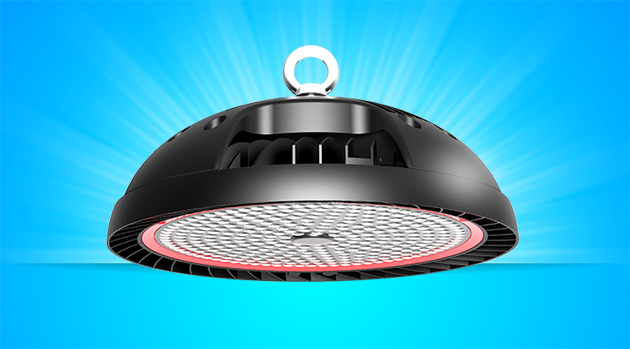 The versatile UFO LED high bay light deliver a wide range of light output that replaces 250W to 1000W HID lamps. The cutting edge LED technology provides a very high lumen output of 32000 lm with a leading industry efficacy of up to 140 lm/W. Precision designed lens system provides optimized illumination in multiple distributions for open floor or racked aisles. 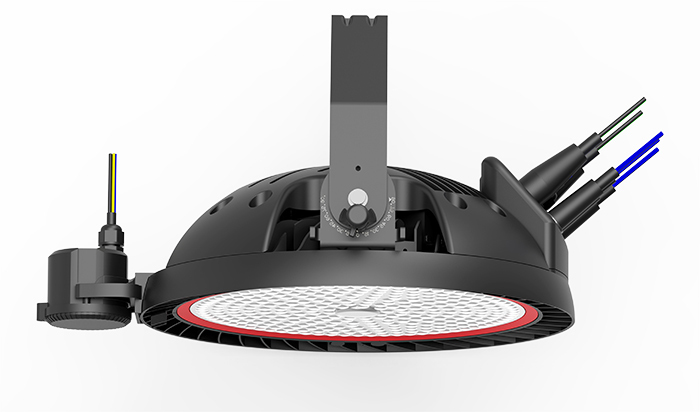 The sleek design generates airflow to avoid dirt accumulating on the fixture and increases overall flexibility of the lights by reducing both driver temperature and junction temperature of the LED arrays. The luminaire has a computer designed and optimized heat sink that delivers outstanding thermal management that effectively protects critical components and ensures optimum performance in harsh industrial environments from -30°C up to +50°C. Open ventilated design and robust fin system efficiently pulls heat away from the LED diode junction, while providing durable protection for the optical elements of the fixture. The die cast aluminum housing is designed to provide a thermally independent compartment to keep the drivers and LEDs isolated. 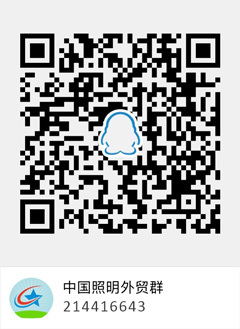 The fixture has a weatherproof rating of IP65. OSRAM DURIS® S 5 (3030) white LEDs (available in color temperatures of 4000K, 5000K) with high efficacies, color quality and virtually maintenance-free lifetimes provides flexibility in forward voltage and luminous flux with high lifetime even at high temperature. In combination with superior temperature management and the dust-proof design, the fixture is well suited to applications with high ambient temperatures, more airborne dust and oil particulates in manufacturing facilities such as steel mills, casting foundries, and glass manufacturing plants. Precision designed, high-impact polycarbonate lens deliver even illumination. Multiple photometric distributions (narrow, medium and wide) allows for maximum illumination within the required area, creating an intensity and uniform ratio that ensures glare and light pollution are eliminated. Static-free optical system features high resistance to chemicals and protects against moisture infiltration. Each fixture is equipped a universal driver that accommodates inputs of 100- 305VAC, 50 Hz to 60 Hz and have internal surge protection. Power factor is 0.95 at full load. Industry leading technology delivers seamless dimming. Optional occupancy sensors allow activated switching of luminaire light levels. Flexible mounting options provide the freedom to configure the high ay fixtures to perfectly fit any project: Surface mount to ceiling or wall mount using mounting brackets; Pendant mount with rigid conduit. Pendant mount with chains for hook or other pendant accessories. 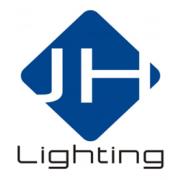 Other Products from Shenzhen Jinghong Lighting Co., Ltd.